Are Citizens Obliged To Obey The State? The question which has been posed above is a most significant one. This is especially so as Grenadians are presently in the process of reviewing the country’s constitution. Do citizens have an absolute obligation to obey the state because of the constitution? How much can a constitution serve to deter citizens from becoming engaged in revolutionary disobedience? Revolutionary disobedience may be described as a politically motivated breach of law designed to change a government extra-constitutionally, such as by a coup d’etat or by revolution. Within the present context, obligation refers to a duty to abide by the legal order of a particular state together with a concurrent duty to refrain from doing any act which would threaten or cause a discontinuity of the legal order as a whole. It is posited that constitutionalism is merely a democrat’s dream which seeks to nurture this obligation. It presents no guarantee that there would be no revolutionary disobedience. A significant number of theorists such as, Peter Singer (1973) and John Rawls (1999) hold the view that there is no absolute obligation to obey the state but they assert that there may be just a prima facie obligation. A few such as Joseph Raz (1979) and M B E Smith (1973) have argued that there is not even a prima facie obligation to obey. Those who claim that there is at least a prima facie basis for having an obligation to obey the state have advanced four broad concepts in support. These are gratitude which infers that when a person accepts benefits from the state, he or she thereby owes a debt of gratitude towards the state by obeying its laws; promise-keeping by way of a “social contract” which impliedly promises obedience with the government in return for protection and benefits and this is especially so when there is participation in general elections; fairness which infers that individuals owe a duty to other citizens who also obey the state; and for the reason that obligation enhances the promotion of the common good of all citizens. Despite these rational reasons, a significant number of writers are of the opinion that people have a right of revolution against a government which is oppressive and acts against their common interests. Is there a right of revolution? The Magna Carta which was issued in England in 1215 diminished certain rights of the King and moreover gave the right to a special committee of barons to overrule the will of the king through force if necessary. The American War of Independence may be said to be based upon the philosophical arguments of the right of revolution as well. As a matter of fact several states in the USA have a special clause within their own constitutions which authorises the people to take whatever steps which are necessary to change the government if it is oppressive. Was there a right of revolution in Grenada in 1979? 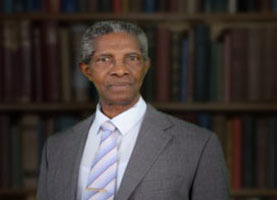 Were Grenadians sufficiently oppressed to warrant the extra-constitutional change of government in 1979? Was there a breakdown in the constitutional process which seemingly facilitated a smooth change over of government? Was there any legitimacy in the de facto regime of the People’s Revolutionary Government? Legitimacy may be described as the recognition and acceptance by a substantial majority of the populace of the authority of a governing regime in the absence of coercion. This recognition and acceptance may be indicated by way of general elections or by referendum. This is why several countries over the years such as the United States of America, France and more recently, the Seychelles, despite their revolutionary disobedience, subsequently became legitimate regimes. The same principle may be applied to Tunisia, Libya, Yemen and to some extent Egypt which country is still in transition because of the toppling of the elected President Morsi by the military. It seems reasonable to conclude therefore, that there seems to be no absolute obligation to obey the state. There is only a qualified obligation. Nonetheless, legitimacy always lies in the hands of the people.